Last time we met The Smallgoods, it was way back in the misty yesteryear of 2012. We watched them ride off into the sunset in a cloud of dank smoke, whistling tunes we’d grown to love, but sensed we would never hear again. The band, which originally hails from Port Fairy Victoria, first fully formed in Melbourne in the early 2000’s, regularly haunting establishments like The Rob Roy, The Punters Club and The Tote. They gained a loyal following drawn to their guitar pop sensibilities, reminiscent of 60’s garage and psychedelia, drenched in melodic and harmonic vocals. Over a ten-year-plus period, they produced three critically acclaimed albums and attracted listeners around Australia and overseas with their adventurous song writing and lush live performances. The band quietly reconvened in recent times to begin writing again. This culminated in a 10-day recording session in the forest surrounds of the Dandenong Ranges, recording the follow-up to their 2006 album Down on the Farm. 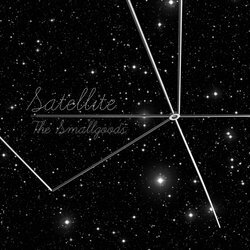 The Smallgoods new album Lost In The Woods is released in June 2019 through Lost & Lonesome Recording Co.
Satellite is a shimmering tune with delicate melodies and soaring guitars that form a soundscape reminiscent of Teenage Fanclub had they been produced by Jeff Lynne.